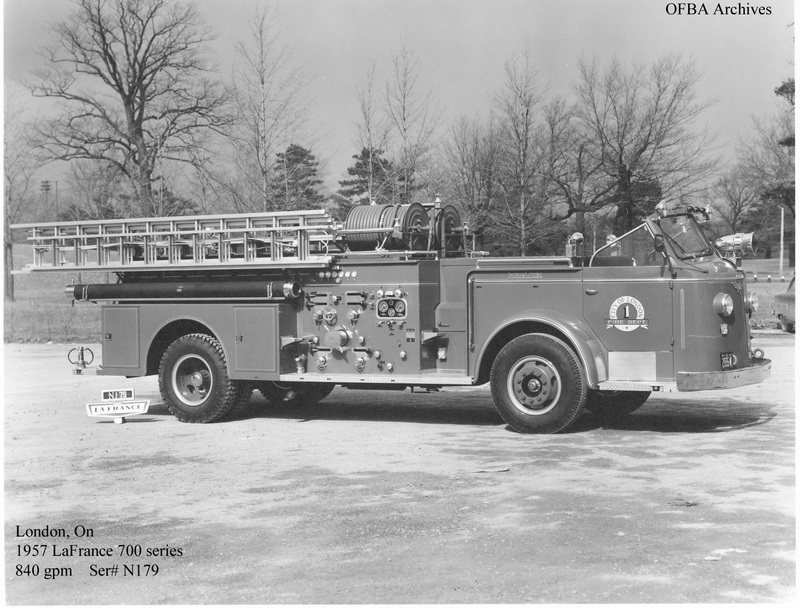 From 1953 to 1965 the LFD apparatus fleet was dominated by LaFrance trucks. Every front line pump and aerial with the exception of Unit 22 (Truck 2) and Unit 16 (Engine 6) were built in Toronto by LaFrance. To the best of my knowledge, only 2 of these rigs have been saved. 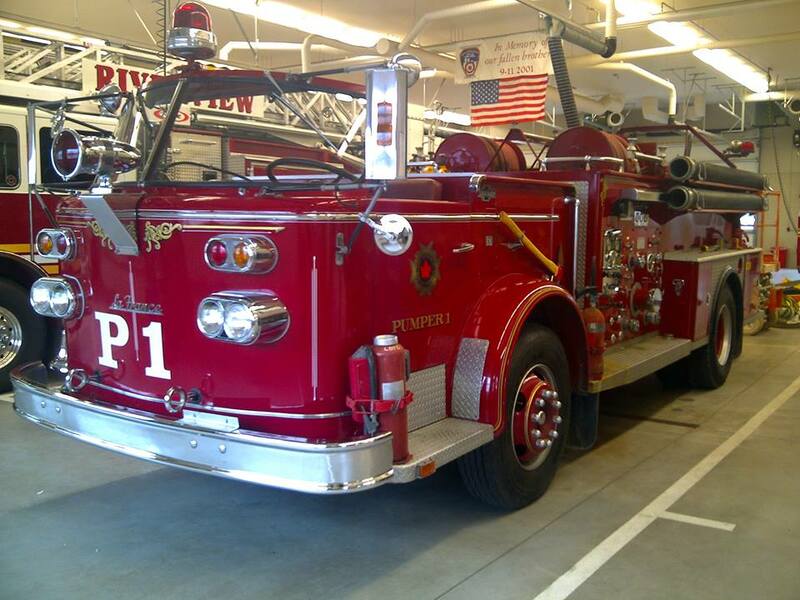 The 1961 900 series pumper (ex Engine 7) that was traded to King/Seagrave in 1978 on the Scot/KS pump that became Engine 7 and the 1967 LaFrance 700 series open cab pump that I knew as Unit 14 (Engine 4). 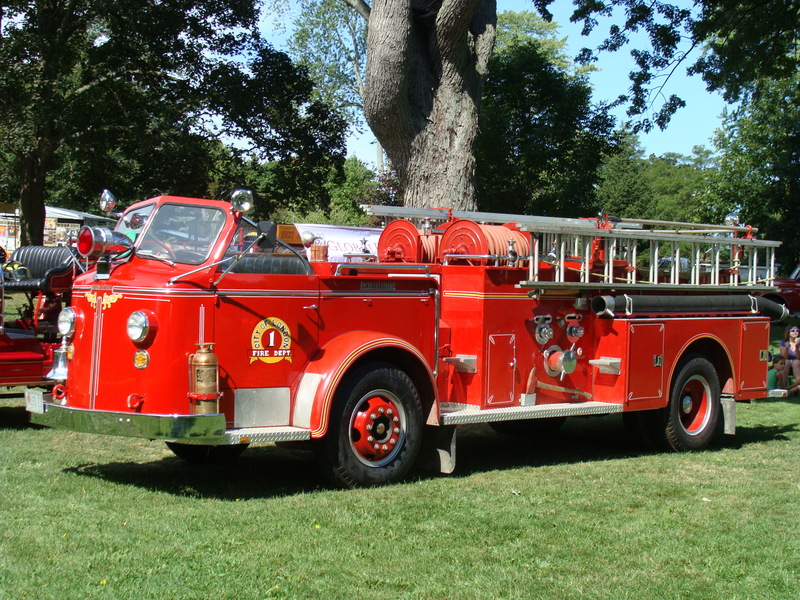 Former Engine 7 (1961 LaFrance pumper), is currently now in Charolettetown PEI. This enginewas sold to Seagrave/King in Woodstock, then it was purchased and used by the Airy Ont. Fire Dept. 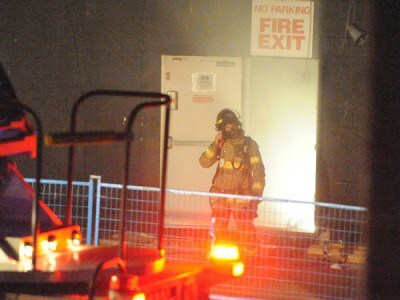 Note that the door crest was the LFD crest with Airy painted over it. This photo of Engine 1, (1957 LaFrance) was taken at the 2012 St. Thomas fire muster by Andy Greenlees. Awesome pics and great story Rick! Thanks for tracking down these gems of the old fleet. I have a few photos that might add something to this story… I believe the ’57 LaFrance currently owned by a London firefighter and painted in Engine 1 livery is actually the former London Engine 4 and Airy Township Engine 1. In fact, I’m attaching some photos of that truck in the condition it was in when purchased from it’s previous owner, a Toronto firefighter. One of the photos is a closeup of the door logo that shows the “1” fading to reveal the original “4” beneath. 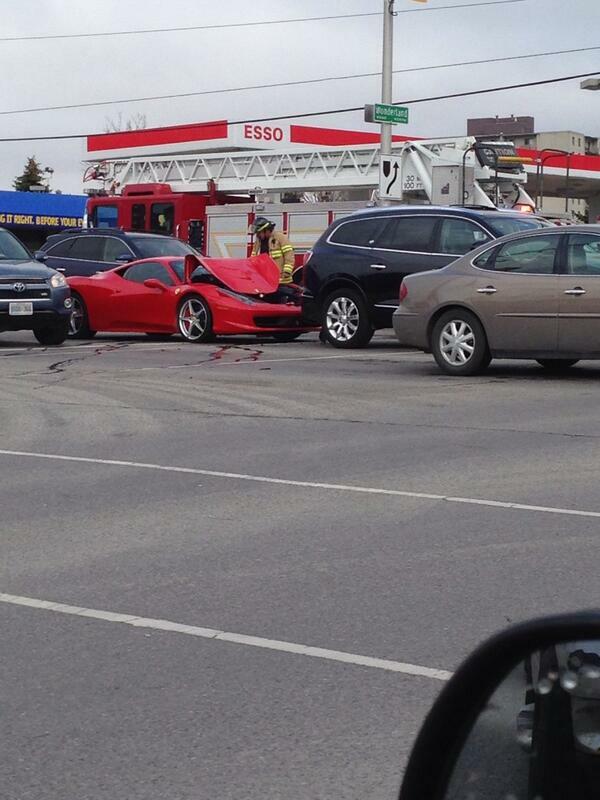 Also – note the difference between the headlights on the Charlottetown pump compared to the London trucks. 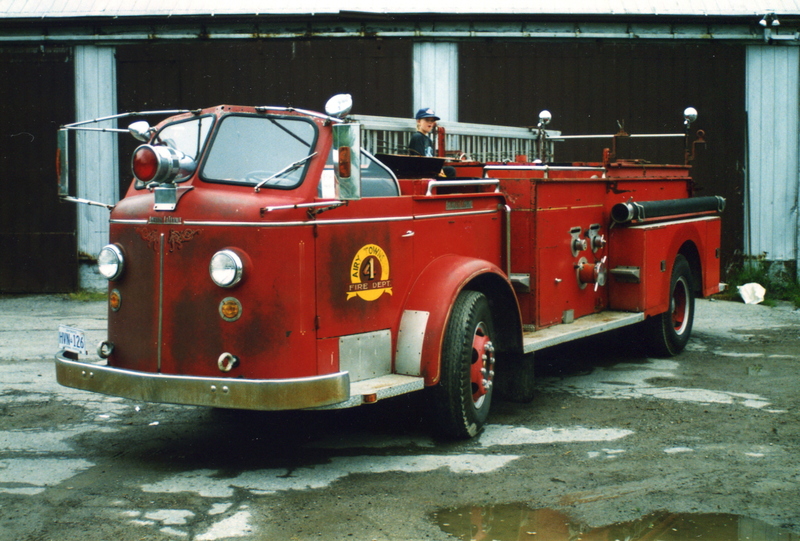 I’m also sending some photos of the truck as Engine 4 back in its heyday. We still had a couple open cab pumps in 1978. Winter alarms were an adventure. Esp if it was snowing and the opticom was flashing.